A strong district level reception committee of the Natun Sahitya Parishad was formed at Assam’s Goalpara on Saturday to hold the 18th state convention of the Parishad in the district. The three-day convention is scheduled to begin from December 27 and continue up to December 29. 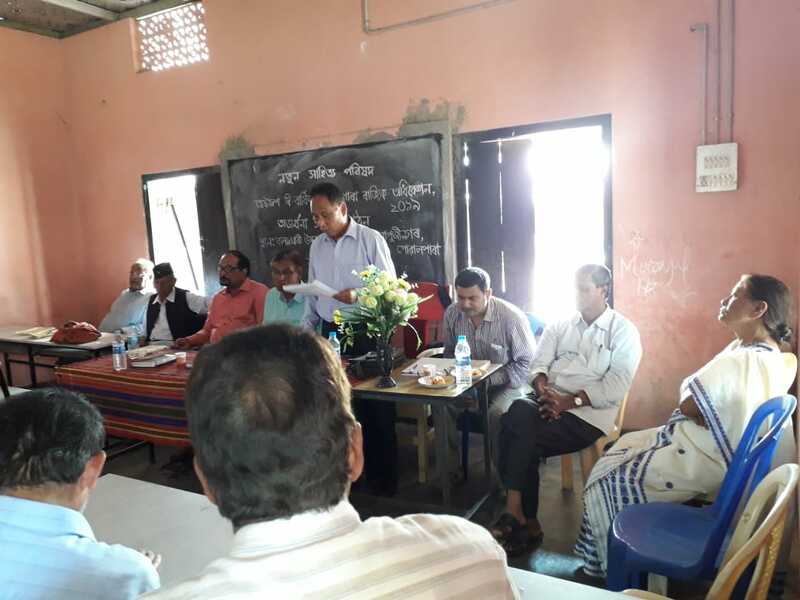 The programme was presided over by Amiyo Boro, former principal of Goalpara College where the purpose was explained by Ohijuddin Sheikh, retired principal of B.N. College in Dhubri. The meeting witnessed participation of about hundred representatives from all over Lower Assam. After a threadbare discussion, a new reception committee was formed with Ratan Bhattacharjee, academician, as the president, Amiyo Boro as the executive president and Ohijuddin Sheikh, State vice president, as the secretary. State president Rabindra Kumar Das and Samindra Hujuri, secretary, spoke at length about the rich cultural heritage of Goalpara and hoped that the convention will be successful with the cooperation of all cross-section of people. “We know that this is the time of serious political activity. However, we have faith upon the art, culture and literature loving people of Goalpara that they will participate up to the fullest,” remarked Samindra Hujuri. Apart from literary seminars, there will be book fair, exhibition, cultural procession and multi-lingual poetry programme in this colorful convention.